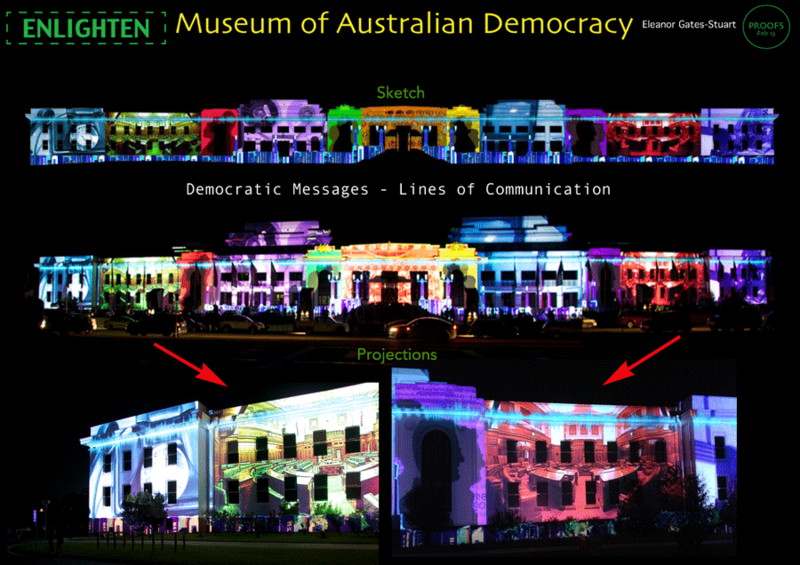 This concept celebrates MOAD as heritage museum to Old Parliament and the media communications of the times. Using visual iconic references to technology of that era and its importance to the life of Parliament, public knowledge and National information. I felt it important to bring the main Chambers ‘out of the building’ and experience the once vibrant historical spaces open and celebrated in large-scale. To enable such detail I used a robotic attachment to camera to capture 70 images in a panoramic detail and digitally stitched together for each Chamber. Subtle references to election speeches are embedded behind the silhouettes.